The ‘People and Places’ exhibition with Kim Thittichai and myself, was really well received too and thank you all for visiting Kim and I there ….Kim had created some wonderful surfaces with her pieces from pebbles and shells picked up on her travels, a really lovely body of work to look at during my days sitting demonstrating …… my ‘Men at Work’ quilts will be joining my ladies from ‘6 Shades of Grey’ and another dozen or so new quilts in October at the Open European Quilt Championships in Maastricht in October ..
Kim and I are hoping to exhibit again together, maybe in 2018 with a brand new body of work, watch this space ..it is much more fun when there is more than one of you …although we both have a lot to do between now and then! The Prague Patchwork Meeting next week 1-3 April sees an exhibition called ‘Ambition’ from ArtQuiltFusion, a European group to which I belong … my work will be part of this show, but sadly, I won’t be able to be there, this exhibition was in Alsace in September and will travel to Denmark in August, finishing its run in Maastricht in October as well. June/July is the end of year at Eastleigh College andour show will be different this year … we have level 3 City and Guilds Embroidery as the only pure textiles course showing. But, we have the end of the first year of our new HNC/HND Contemporary Art Practice course. I am thrilled with the course and the work that the students are creating… it is much broader based than the Foundation Degree Stitched Textiles was, with opportunities in photography, video, sculpture, print as well as the stitched textiles … do come and visit the end of year show which will run from 30 June (evening opening) 1st and 2nd July. please do come and see what we e been up to this year… we offer a level 3 course in Art, Design and Media too as pre – cursor to the HNC, it didnt run this year so hopefully next year will different. Just to say the city and guilds Patchwork and Creative sketchbooks is back inthe college prospectus this year so if you are interested . come and talk to us or just sign up! 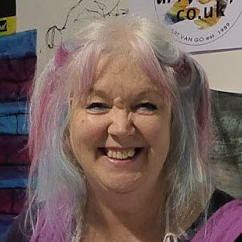 August, The Festival of Quilts, I will be on QIA24 stand as usual with Lynn Onions, where we will be demonstrating …. and hopefully i will be bringing my free standing work from Romsey Abbey to the show…. i am also teaching a Masterclass called ‘Stitching from Life’ on the Wednesday which should be fun …. October , my solo show in Maastricht and another year older! hope to see you somewhere along the way….